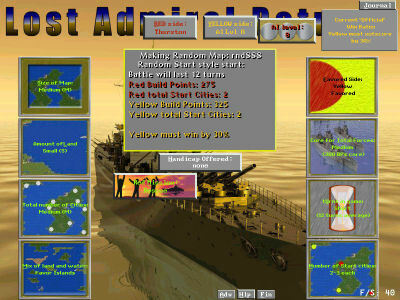 To start playing Lost Admiral Returns using your officer namesake, choose a battle to fight. 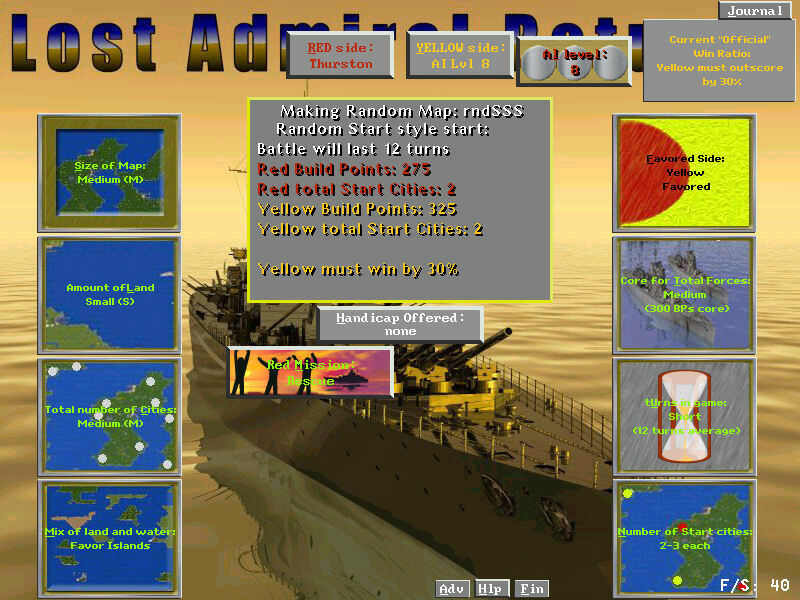 Many players will choose their next battle based on the choices offered in their "Save the Admiral" Campaign. The campaign will offer you a range of different battle maps and special missions to undertake for your next fight. You can also start battles outside of the "Save the Admiral campaign. Choose a classic map when first learning the game. 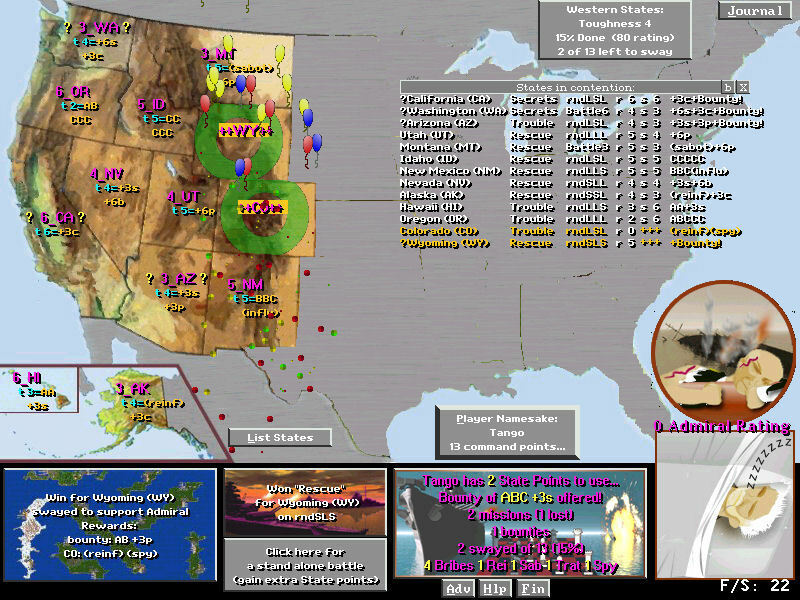 Then work your way up into the many random maps and the special missions. You will have a variety of choices available when starting a battle such as what AI level to play against. And control all aspects of random map setups, including starting forces, number of cities, and what side is favored at the start of the fight. You will also have a wide variety of special missions to add to your normal battles. Each mission has it's own challenges to be overcome in addition to the normal fight for control of cities. For instance, help reinforce nearby war zones with some of your spare ships, protect top secret ship movements in the area, or find, rescue, and bring home lost crew members. Examples of mission names: "Trouble Next Door", "Secrets", and "Rescue".